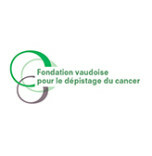 The Cancer Screening Foundation of the Canton Vaud (FVDC) is mandated by the Vaud State to organise the two cantonal organised screening programmes for breast and colon cancer. The Foundation’s objective is to widen screening in the population of the canton at an early stage before symptoms are felt, thus improving the chances of curing those discovered to have cancer. • To organise systematic screening for the population in question in the best possible conditions using scientifically validated screening tests. • To inform the population in question of the advantages and risks of screening. • To enable the evaluation and efficacy of the system set up. The breast cancer screening programme of the Canton Vaud concerns all women aged between 50 and 74 who are resident in the Canton Vaud (approx. 80,000 women). These women are sent a letter every two years inviting them to have a screening mammogram. 90% of the cost is reimbursed by their basic health insurance with no excess. Women over 74 who wish to continue in the screening programme on the recommandation of their doctor can obtain an appointment for a mammogram, with the same financial advantages, by phoning the Cancer Screening Foundation of the Canton Vaud.